Imperforate, blued paper, watermark 6 (large star), engraved. 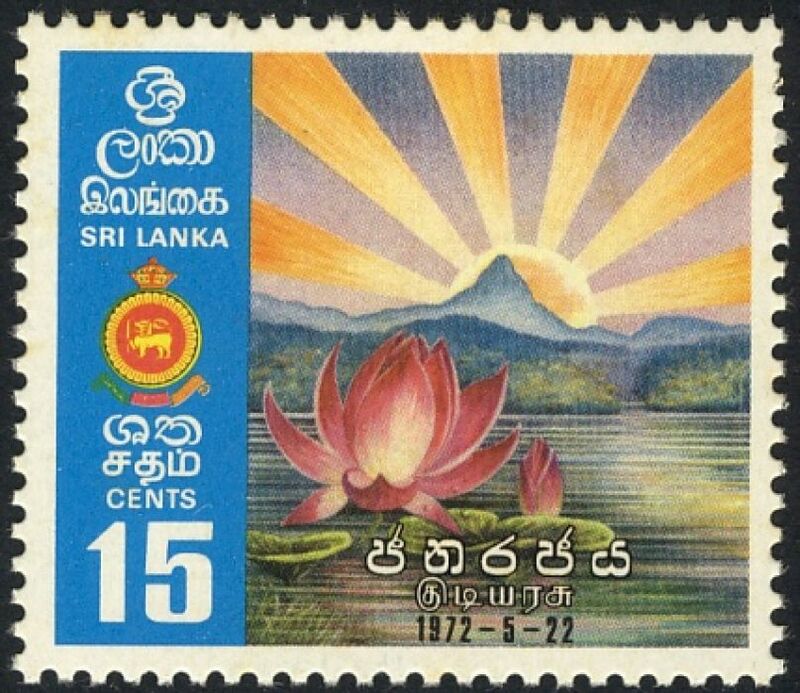 Gibbons  states that, "Ceylon became a republic within the British Commonwealth in May 1972 and changed its name to Sri Lanka ("Resplendent Island")". Both Scott and Gibbons number contiguously.